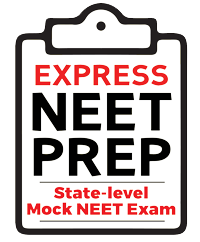 Do you want to be a NEET topper? * You assume the responsibility for your registration, and no refunds will be issued. Edexlive.com is the latest web offering from The New Indian Express Group and provides news and stories about everything that a student needs career, education, scholarships, inspiring stories, advice on-the-go and highlights issues pertaining to the youth of the nation. Express Publications (Madurai) Limited, Express Gardens,2nd Main Road, Ambattur Industrial Estate,Chennai - 600 058, India.